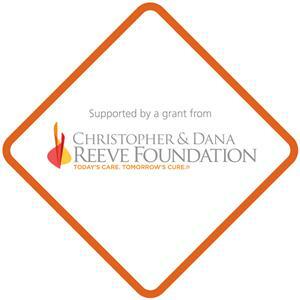 Schuylkill Intermediate Unit’s Maple Avenue Campus expresses sincere gratitude to the Christopher & Dana Reeve Foundation for the Quality of Life grant. The Quality of life grant will help to support the Transfer and Mobility Supports for Children Improvement Project. Grant funds will support the purchase of a TRAM, a portable device designed to support transitions between sitting, standing and walking. The goal of the OT/PT program is to provide services to students in the special and regular education setting to ensure that students achieve their educational goals. The project will serve children with physical disabilities, including paralysis, in grades Kindergarten through twelfth grade that receive OT/PT services. The portability of the TRAM further maximizes the equipment's impact on the program as the equipment will be utilized at many school sites across the county, and children benefit from improved services-especially gait training, and eased position transitions. At least 60 children will benefit from the TRAM equipment. This grant is funded through a cooperative agreement with the Administration for Community Living. Anyone interested in learning more about the Foundation may visit their webpage at Christopher & Dana Reeve Foundation www.christopherreeve.org. Information about the Schuylkill Intermediate Unit may be accessed through our webpage at www.iu29.org. Schuylkill Intermediate Unit’s Maple Avenue Campus expresses sincere gratitude to the Highmark Foundation’s Creating a Healthy School Environment program. We recently received a grant award to support the “We’re On the Move: Fitness for All Program”. The Foundation’s generous award equips our school with new physical fitness equipment and nutrition resources. Information about the Foundation can be located at: http://www.highmarkfoundation.org.